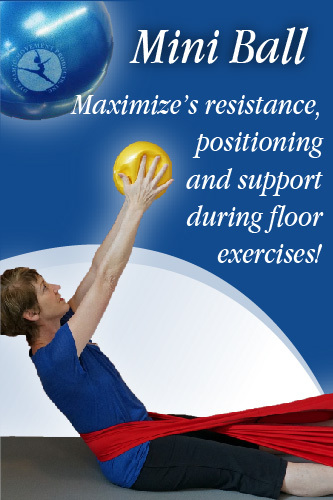 Stretch-eze® developed by former dancer, dance/movement therapist, and Pilates instructor Kimberly Dye, is a circular resistance band used for support and resistance in core strengthening and stretching programs. 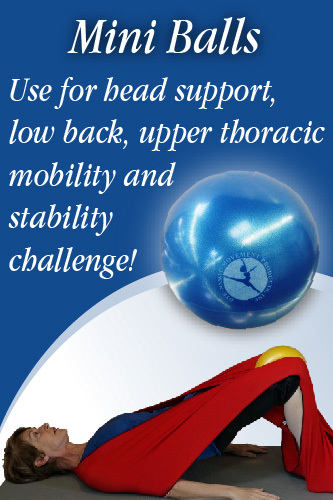 One of countless uses is to wrap it around your shoulders and feet. 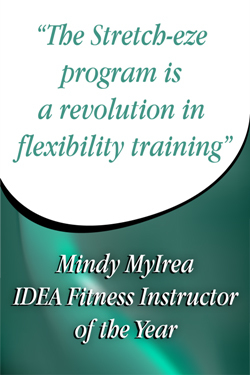 Feel snug, supported, and able to press into the resistance to create a cleaner access to the intrinsic core muscles with no build up of tension and a new found internal spaciousness. 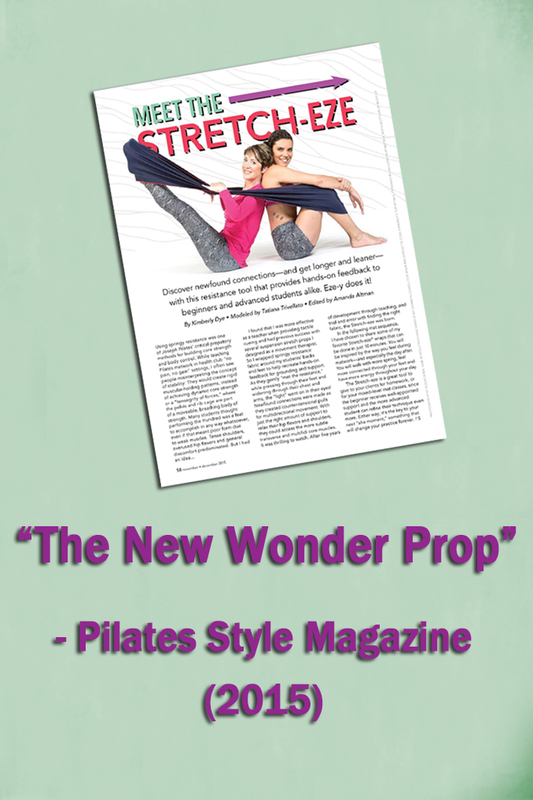 "New Wonder Prop" according to Pilates Style Magazine. 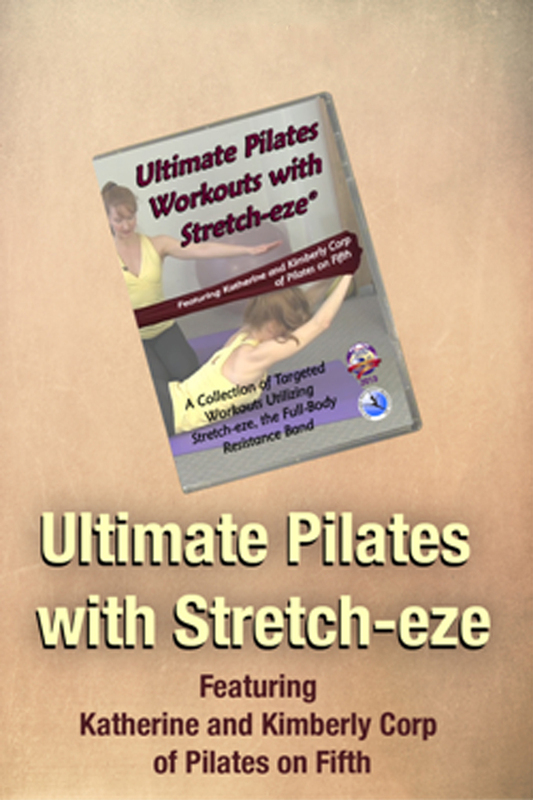 Check for proper fit by placing Stretch-eze around shoulders and feet while lying supine, legs extended along the floor. 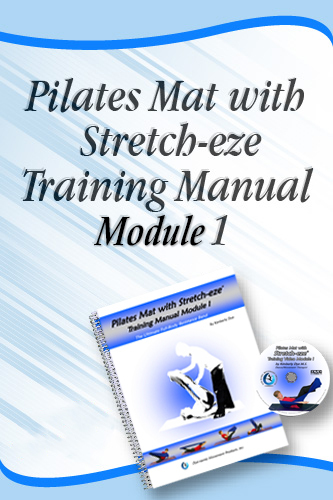 There should be gentle pressure on shoulders without compressing the spine. Sizing will be affected by preference of resistance and individual body shape. The above sizing recommendations are starting points. 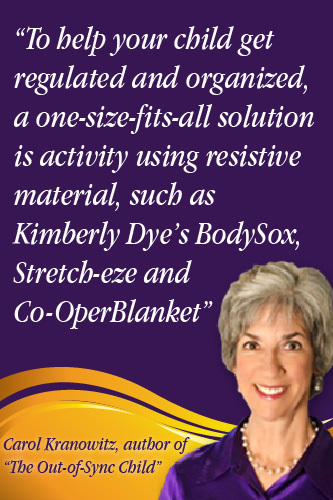 If your height is at the edge of our transitions from one size to the next consider purchasing two sizes especially if you live outside the USA. We do not offer free shipping on exchanges. All Dye-namic Movement Products are guaranteed against defects in materials and workmanship for one full year from date of shipment. All equipment will wear with use and no guarantee is made against normal deterioration. We recommend you establish a regular inspection program of all equipment, fittings and support systems to guard against injury. Any alteration of equipment or use of equipment in a non-recommended fashion voids all warranties. Our products are intended for use with adult supervision. Though we use the finest materials available, we cannot guarantee freedom from injury. The user assumes all risk of injury.